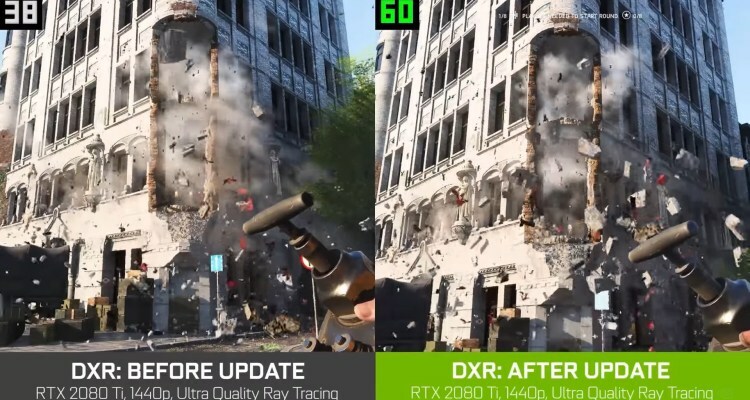 Nvidia, in collaboration with DICE, today announced an update for Battlefield 5 that improves performance by up to 50% by activating ray tracing in real time. The video also shows other technical improvements such as destruction, vegetation and reflections. These improvements will be available on December 4 when the Battlefield 5 Chapter 1 update will be released. • Performance improvement of several components of the RayTracing implementation. • Improves RayTracing performance on foliage and vegetation. • The inactive geometry of the RayTracing scenes was eliminated. • The Media quality setting is not applied correctly.